Has anyone gone and brought Google Analytics data in via the API into Squared Up? Hi michouser, did you get it working in the end? Note down the Client ID & Secret, you’ll need these later. Click save, then click perform authorization (you’ll be redirect to Google to login & authorize and then back to Squared Up). The provider should now display a green tick. 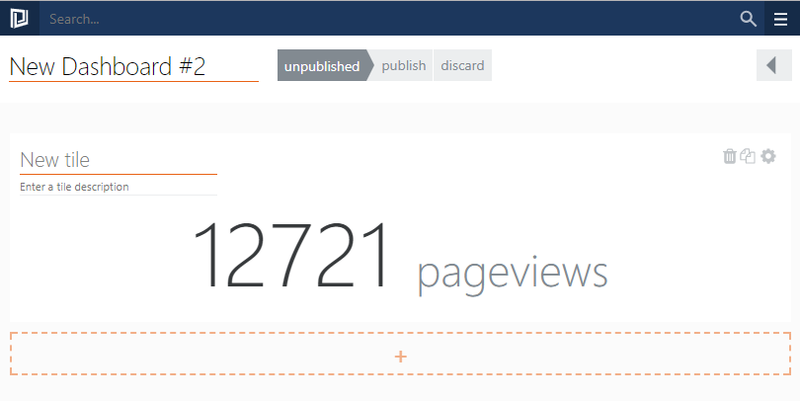 Now the provider is ready, you can now create a dashboard – here’s an example display pageviews. Select your new provider, as above. To retrieve different metrics or tabular data, use the Google Query Explorer (https://ga-dev-tools.appspot.com/query-explorer/) to generate the API query url and then swap that out in step 7 above. Hi michouser, you should just be able to use the FQDN of your server - although mine happens to end in .net so that might be why it works. It doesn't need to be on the public internet. You only need the redirect URI to be valid for initial authorisation, so you could modify your hosts file to temporarily map michouser.com (for example) to your servers local IP and use that as the authorised redirect URI. Does that make sense? Also worth noting, the name you choose for the provider will be what is on the end of the Authorised Redirect URL in step 1.5.3. So in the example above clarkd called his provider google hence why his redirect url ended in /ext-core-webapi/callback/google. The one thing that I am expericing now is that after a period of time the API connection becomes unauthorized. When this occurs, I have to go to settings and reauthorize. Is there a work around so this does not occur? We have been able to get the provider to work in Squared Up. Now we are experiencing that if you leave the session of Squared Up, the provider will require to have the perform authorization. Once this is done, all is ok. My question, could it be that there is no activity yet? Have yes to pull anything. Will work on building some pages. Also, once I get this finalized I will share the solution that we employed so the connection could be achieved.